Behind every successful director or manager, you will find an organised and efficient Executive assistant or Administrative professional. The administrative support position has become the nerve centre of business, industry and government at all levels. People occupying such positions need to add value every day to their organization by being purposed and energized in the strategic and creative approach to their daily work activities. The conference will bring together the phenomenal assistants behind most of the successful government officials, businesses, politicians, and more. This valuable conference is an exciting opportunity to learn new practical skills that will enable executive assistants and administrative professionals manage their jobs and career with expertise, new authority and success. The conference is dedicated to personal growth and professional development of the participants and will build competencies necessary to be successful at adding value every day within the administrative arena. The conference will allow networking and sharing of ideas with peers from various organisations who face the same challenges on a day to day basis. • Moving up the organisational ladder – Professional development of Executive assistant / Administrative professional. • Manage multiple priorities – What to do when everything is important. • Innovative and creative thinking – Demonstration of excellence and efficiency in everything you do. Secretaries, Office administrators, Office managers, Executive/Private secretaries, Personal secretaries, Principal/Personal/Administrative Assistants. US$1,150 to cover tuition, training materials, conference facilities and certification. 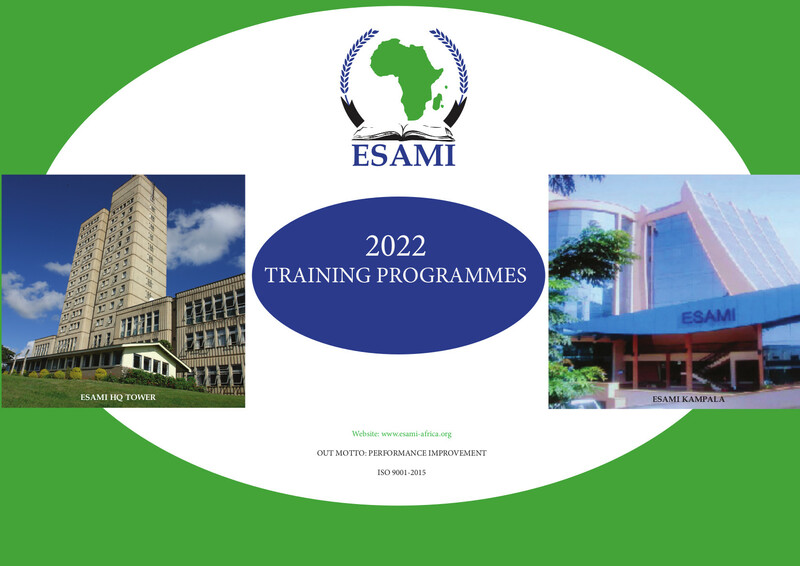 Register for the conference that will allow you to network with other attendees and create bonds that will last beyond the conference by applying online on www.esami-africa.org or contact any ESAMI office nearest to you.